Former South Carolina police officer Michael Slager was federally indicted today on charges of a civil rights violation. 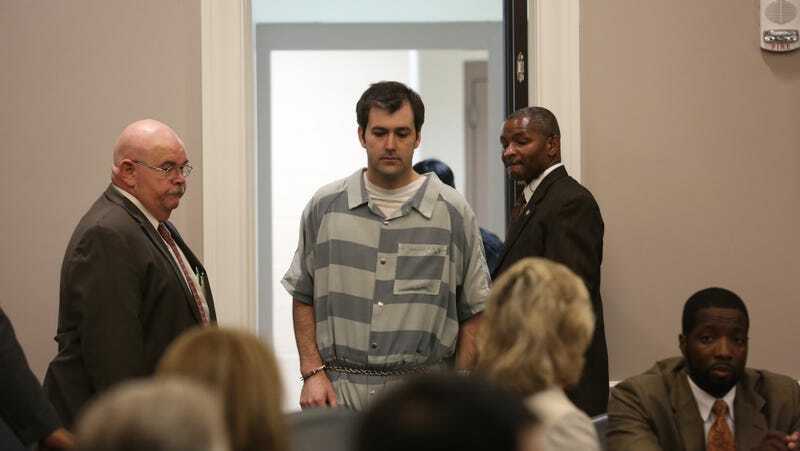 Last April, Slager shot unarmed 50-year old Walter Scott in the back eight times after he fled a traffic stop. Slager had already been charged with murder by local officials soon after video footage of the incident became public. The shooting was caught by 23 year-old Feidin Santana, who happened to witness and record the event. The charges against Slager do carry a federal death sentence, although, according to the Post and Courier, prosecutors won’t be be seeking it. The original state charges carry a sentence of 30 years to life without parole, and the new charges for violating Walter Scott’s civil rights bring another possible life sentence. Slager, representing the living embodiment of white privilege, will remarkably remain free on $500,000 state bail after the federal arraignment. Scott’s heartbroken mother addressed the federal charges today and expressed her belief that justice will be served for her son. The feeling of seeing a police officer actually and appropriately punished for brutality is, at best, bittersweet: knowing that Slager’s manipulation of the truth and outright lies would have likely stood had Santana not happened to be at the right place at the right time doesn’t exactly instill confidence in our nation’s justice system. The Washington Post’s database on police shooting reveals that of the 990 fatal police shootings last year, Slager is one of only 10 officers to be charged with a crime. And ultimately, it’s exceedingly rare to see these rare charges turn into time served: last month, the NYPD officer who accidentally shot and killed the unarmed 28 year-old Akai Gurley was sentenced to community service and probation.